The 15th UEFA European Championship commences in Saint-Denis on June 10 and takes in 9 additional cities (Bordeaux, Lens, Lille, Lyon, Marseille, Nice, Paris, St Etienne and Toulouse) around the host nation of France before returning to the same venue for the final on July 10th. Since its inception in 1960, the event has been held every 4 years and is made up of a qualifying stage, play-offs and final tournament. For the 2016 competition, there was a record 53 nations participating in the qualifying rounds. From humble beginnings - in which just 4 nations competed for the trophy - the competition has grown steadily in popularity. This summer’s event will see the highest number of competing teams in the history of the contest - 24 – proof that increased interest and competition has propelled the continental game to a higher level. The 24 qualifiers are made up of the nine group winners, the nine group runners-up and the best third-placed side who all qualified directly for the final tournament. The eight remaining third-placed teams contested play-offs to determine the last four qualifiers for the finals. The Euros – as it is more commonly known - is a competition that has thrown up its share of shocks and surprises over the years and is considered the more unpredictable of the major international tournaments. 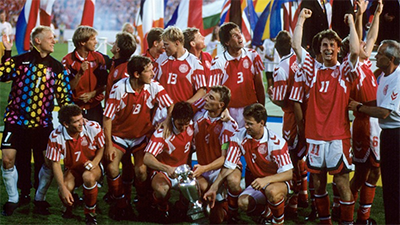 The victorious Denmark team of 1992 had been recalled from their summer holidays to replace the omitted Yugoslavian team, and the lack of expectation must have been a useful preparation tool as the Danes overcame the odds to emerge as shock European Champions, defeating the then World Champions Germany in the final. Similarly, the triumph of Greece in 2004 was a victory that very few predicted prior to the start of the tournament. Aided by one of the meanest defences seen in European tournament history, the Greek squad ground out narrow victory after narrow victory in a relentless march towards glory. Past winners Denmark, Greece and the Netherlands will be conspicuous by their absence this summer, as a failure to negotiate their respective qualifying groups will see them relegated to mere interested observers. Eagerly stepping into the breach, we have 5 newcomers to the Euros (Northern Ireland, Slovakia, Wales, Albania and Iceland) the latter two teams will be making an appearance in a major footballing finals tournament for the first time. Over recent times we have also seen the European heavyweights of France and Spain add to their World crown by taking the European title within the same 4 year period - simultaneously holding the proud label of World and European winners. It is Germany who have the possibility of completing this prestigious double this time around after their triumph in Brazil two summers ago. They go into these Euros as joint favourites with host nation France. Spain, who proudly boast the fact that they are the only team to win it back to back, are also the defending champions, attempting to make it a historic treble. 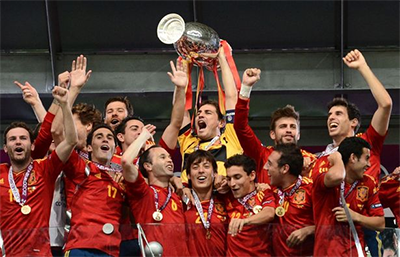 Behind the World Cup, it most watched football tournament in the world and the Euro 2012 final saw a global audience of around 300 million tune in to watch Spain defeat Italy 4-0. Four years on, and with more competing teams than ever, it is likely that this figure will be surpassed. The rise in stature of the tournament has coincided with the advance of European club football as the most influential and dominant in world football. The highlight of this year’s footballing calendar, we can look forward to a thrilling month of football in a tournament boasting some of the finest footballers on the planet. If there is one thing that the history of this unique contest has taught us, it is that any one of the competing nations will have a fighting chance of holding aloft the famous trophy in the Stade de France on 10th July. The draw has been kind to the tournament hosts as France find themselves in amongst some of the competition’s weaker qualifiers. They will no doubt be striving to take full advantage of staging the competition on home soil; past winners twice, this will be the second time that the French nation have welcomed the European footballing elite and they will be hoping to repeat the success of Euro ’84 and World Cup ’98 where they went on to lift both trophies. Current Coach Didier Deschamps was the captain on that memorable night when Les Tricolores became world champions and he has an abundance of options to choose from within a squad packed with quality. News that Franck Ribery is considering a sensational return to the national team has emerged recently, in what would undoubtedly be a boost to a group containing such established names as Antoine Griezmann, Blaise Matuidi and Raphael Varane. Regular watchers of the English Premier League will look on with interest as the likes of Dimitri Payet, Anthony Martial and N’golo Kante attempt to take their excellent club performances into the international arena. Named Best Young Player at the 2014 World Cup, Paul Pogba is the undoubted jewel in the crown of what is a sublimely talented playing pool, speculation regarding his future is apt to ramp up yet again should he produce the kind of eye catching performances he has been putting in for his club Juventus. The return to club football of Karim Benzema will be a source of frustration for the fans of the French national side, still suspended indefinitely from the national team due to allegations of involvement in a blackmailing plot against teammate Manuel Valbuena, the FFF have now announced that the Real Madrid striker will not be considered for selection for Euro 2016. The last tournament success came back in Euro 2000 but with the backing of a partisan home crowd, a semi-final appearance should be the minimum expectation for Deschamps. They will be looking to eradicate memories of an egregious showing at the 2010 world cup; however, the improvements made at Euro 2012 and the 2014 World Cup – in which they made the quarter final stage in both -have been encouraging signs that the team is back on the right track. Due to the fact that ‘Les Bleus’ are only team to receive automatic qualifying status, the French haven’t been involved in the intensity of a qualifying campaign, a situation which may pose questions as to how ‘battle hardened’ the squad is collectively at international level. However, the adrenalin and big game spotlight should ensure that when the action begins, they will be able to hit the ground running. France Euro 2016 Odds - joint favourites with Germany at $4.20. Co-hosts of Euro 2008 alongside neighbours Austria, Switzerland are no strangers to this competition. Having made their tournament debut at Euro ’96, it wasn’t until their third finals appearance that they finally won a game. World Cup quarter finalists twice (1934 and 1938), the record of the nation in the global tournament is actually superior to that of the Euros. Despite such an undistinguished history, Vladimir Petkovic’s side qualified quite comfortably, finishing second to England with 21 points having scored 24 goals shared among 14 players. The campaign got off to an inauspicious start, losing the first two games before a strong run of five consecutive victories paved the way for qualification to the finals in France, clinching their spot with an emphatic 7-0 victory over San Marino with a match to spare. Euro 2016 will mark the fourth finals appearance for the nation and supporters will be desperate to advance from the group stage for the first time, although anything beyond a last 16 appearance would probably be a bridge too far. Well-travelled around some of the continent’s prestigious clubs such as Inter Milan and Bayern Munich, he has enjoyed a positive debut season in England’s top league and with 17 goals in 51 international appearances, he will be an important man for the Rossocrociati. Manager Anghel Iordanescu is now in his third spell as Romania manager. He was in charge during the famous golden years of the early to mid-90’s, when he had the pleasure of being able to call upon the services of the likes of Gheorghie Hagi, Ilie Dumitrescu, and Florin Raducioiu. During this period, it is not unreasonable to accuse the Romanians of underachievement on the main stage; a quarter final appearance in USA ’94 being the highlight of this vintage era. His second term at the helm resulted in a failed attempt to qualify for Euro 2004, followed by the announcement of his retirement and foray into the world of Romanian politics, where he was elected to the Romanian Senate. In November 2014, he was coaxed back into the sporting arena, resuming his role as head coach of the national team. He managed to guide the team unbeaten for the remainder of the campaign, finishing in second place behind Northern Ireland. A frugal defensive mentality is the hallmark of this side, – they conceded only two goals during the qualifying phase, on the downside no team scored fewer – a far cry from Iordanescu’s cavalier team of 1994 but one that has served them well so far. The key figure behind those formidable defensive displays was Fiorentina goalkeeper Ciprian Tatarasanu, the current Romanian Footballer of the Year, who is being tipped as a possible star of this tournament. Ciprian Marica may provide the main attacking threat for the Romanians, with 25 goals in 72 games he sits joint fourth on the list of the country’s top goal scorers of all time. The Tricolorii will certainly be aiming to improve on previously dire outings in this competition; in 1984, 1996 and 2008 – they were knocked out at the group stage and left each tournament without a win. Euro 2000 was a better campaign, finishing runners-up in the group stage before exiting meekly at the quarter final stage to Italy. Still, it would be a surprise if they were to progress at the expense of France or the Switzerland. Manager – Gianni De Biasi. Making history with their first taste of an International finals tournament, Albania arrive in France spurred on by the support of a proud nation. The fact that manager Gianni De Biasi and his team received the nation’s highest civil honour, ‘The Honour of Nation Order’ for navigating their way to this summer’s European Championship speaks volumes for how highly regarded the achievement is in the Balkan nation. Prior to this summer’s event, the 1982 Under-18 and the 1994 U-16 European Championships constitute the full extent of the Black Eagles' tournament experience. They were involved in possibly the most talked about incident of the qualifying process when in October 2014, the match against Serbia was abandoned after a brawl between both sets of players sparked by a drone flying overhead carrying an Albanian flag which claimed ownership of Kosovo. The Court of Arbitration subsequently awarded a 3-0 forfeit victory in favour of Albania and the Eagles capitalised on this good fortune to clinch their qualification from the group 12 months later, courtesy of a 3-0 win in Armenia. The gloss was applied to their remarkable qualifying campaign, in which they finished above former winners Denmark, with the 1-0 victory over European heavyweights Portugal in Lisbon. The Italian coach has fine track record for developing youth and three of his protégé’s - goalkeeper Etrit Berisha, defender Elseid Hysaj and forward Rey Manaj- now ply their trade in Serie A, for Lazio, Napoli and Inter Milan respectively. Stalwart of the side is Captain Lorik Cana, the former Sunderland centre half is now playing for Nantes after spending four years in Rome at Lazio. His experience and leadership will be vital in helping to mentor an inexperienced squad who are about to enter the unknown territory of finals football. With no weight of expectation upon their shoulders squad, they will be free to enjoy this special occasion without too much pressure, if they finish above the bottom of the table, it will be considered a success. Euro 2016 Group A Table Prediction: 1 France. 2 Switzerland. 3 Romania 4. Albania. Will this be the year that the English finally emerge from the shadow of the venerated 1966 world cup winners? Decisions over squad selection are always scrutinised in minute detail by the media and general public alike - and this one will be no exception. Whipping up hype over the fate of the nation’s team in the run up to a major tournament has become something of a national pastime over the last few decades - only to be rewarded by substandard showings on the field. Semi-final appearances at Italia ’90 and Euro ’96 have been the meagre offerings to fans since that glorious day at Wembley in 1966, scant return for the so-called home of football. The nation has produced some top class footballers over the years - including the early 2000’s so called golden generation who failed to transfer excellent club pedigree onto the world stage. Approaching Le Rendez-Vous - as the tournament has been christened by the UEFA marketing department - the expectation levels have been elevated into the stratosphere by virtue of a 100% qualifying record, only the fifth team to ever accomplish such a feat. A long held belief that the English are at a disadvantage in continental competition due to the rigours of a uniquely strenuous domestic season is often an argument that is volunteered in answer to those critical of failings at tournament level. Other leagues in Europe benefit from a winter break, ensuring the players are fresh for the latter half of the season, England can quite rightly point to this oversight at the governing body level as a factor in previously disappointing summer campaigns. Manager Roy Hodgson has the enviable conundrum of an embarrassment of riches from which to choose from. With a multitude of options, particularly in the forward department, a pertinent question is: how adventurous will he be? Reverting back to the tried and tested formula has not proved a successful strategy in previous tournaments. The harder decision may be who to leave out rather than who will make the short trip across the channel. 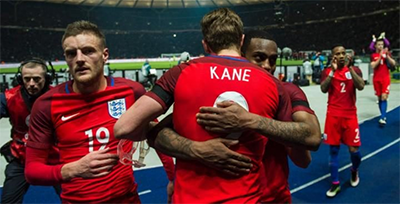 Harry Kane, Dele Alli and Jamie Vardy are coming into the tournament on the back of hugely successful campaigns for their respective clubs and will be certainties for selection. England possess a young, talented pool of players, with Captain Wayne Rooney, the elder statesman of the team, recently excelling in a more withdrawn role for Manchester United, Hodgson may see this alternative as a perfect solution to his selection quandary upfront. Having made their first finals tournament since 1958, Chris Coleman's Welsh team join the Euro party this summer - and they intend to make the most of it - with tens of thousands of Welsh fans planning to make the short trip across the English Channel. The hopes of a nation will land squarely upon the shoulders of their one world class performer - Real Madrid superstar Gareth Bale. With 19 goals in 54 appearances for his country, the former Spurs man is making inroads towards Ian Rush’s record 28 goal haul. Bale’s goals and assists have almost single-handedly propelled the Welsh to the Euros - he scored 7 of the team’s 11 goals during qualifying. After so long in tournament exile, it could be a worry that players may freeze on the big stage – a number of the squad members play their club football at a lower level. However, for the few high profile stars in the squad of who make a living under the microscope of the Premier League, the intense scrutiny of the finals will be par for the course. Hard work and a strong team ethic is core to the success of the Dragons and an increased defensive resilience will ensure that they are no push overs come competition time. Wales attained their highest ever World ranking of eighth in November of last year, shortly before cementing their place at the Euros, completing the qualifying phase with just one defeat to their name. 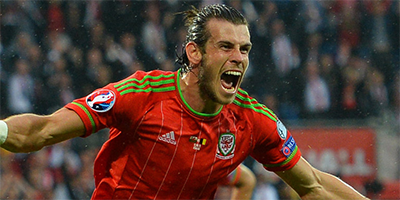 Progress to the knockout round is a realistic target for the Welshmen. Following an underwhelming run of two wins, two draws and two defeats, the Russian Federation decided to part ways with Fabio Capello - with the national team languishing in third place of qualifying Group G. It proved to be an astute decision as the man they chose to replace him, Leonid Slutsky, steered the team to wins in all four of the remaining games to clinch the runners up spot ahead of Sweden. Balancing his role between the national team and his role as head coach at CSKA Moscow, Slutsky performed heroics in reviving the fortunes of a jaded squad. However, the paucity of the Russian league is proving to be a headache to the coaches of the nation’s team and it is an ageing squad that will be taking their place in this summer’s event – the mainstays of the CSKA team are also the favoured centre back pairing for the country, Alexei Berezutsky and Sergei Ignashevich are aged 33 and 36 respectively. An over reliance on foreign players is said to be impeding the progress of home grown talent, a situation which inevitably generates a knock on effect for the fortunes of the international side. With a rich history in the competition under different national guises – the Soviet Union were the inaugural winners back in 1960 and runners up in 1964,‘72 and ’88 - the Russians will be competitive again here. Much will depend upon the form of Alan Dzagoev, the CSKA attacking midfielder revels on the big stage and finished joint top goal scorer in Euro 2012. Slovakia seem to thrive off their reputation as a team who are there to make up the numbers. This is only their second international tournament, the first was as recently as the 2010 World Cup in South Africa. Incredibly, they dismissed any notions of stage fright and knocked Italy out on the way to a place in the Round of 16. For the qualifying phase for this summer’s tournament, Jan Kozak's side made a quick start out of the blocks, winning their first six games including an away win over the Ukraine and a humbling of the mighty Spain. The campaign tailed off after that though and qualification was only confirmed after a tense win over Luxembourg. Favouring a counter attacking style and with genuine talent in the side in the shape of Napoli Captain Marek Hamsik in their ranks, the Slovaks may cause an upset here. Although they may not be backed to make it out of this group, they are more than capable of producing a shock that could derail one of the more fancied sides. 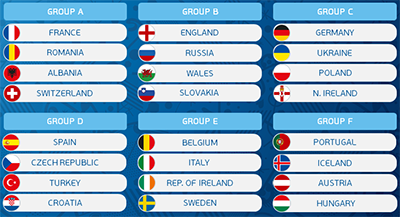 Euro 2016 Group B Table Prediction 1. England 2. Russia. 3 Wales. 4. Slovakia. World Champions Germany enter the tournament full of confidence about their chances of adding a fourth European Championship crown to their honours list. At the World Cup in Brazil, ‘Die Mannschaft’ became the first European team to lift the trophy on South American soil, a historic feat that reinforces a proud tradition of footballing excellence. Since then, Captain Phillip Lahm and tournament goal-scoring machine Miroslav Klose have announced their retirement from the international arena, dealing a blow to the balance of the squad. However, that setback is counteracted by the return to fitness of duo Ilkay Gundogan and Marco Reus, both of whom missed out on the World Cup triumph. Having suffered surprise defeats to Poland and the Republic of Ireland during the qualifying stage, the preparation hasn’t been perfect and has shown the rest of the competition that they are not infallible. However, in keeping with the finest traditions of the German teams, when the competition begins, expect them to hit top form – a sign of true Champions. With the likes of Mesut Ozil, Marco Reus, Tony Kroos, Sami Khedira, Mats Hummels and Mario Gotze, they boast a playing group bursting with talent. Stand out performer is Bayern Munich’s multi-positional kingpin Thomas Muller. His capacity for producing his best work on the biggest stage is what sets him apart from other elite players; he was the golden boot winner at the 2010 World Cup in South Africa and Silver boot recipient in 2014. With 31 goals in 70 appearances for his country, it is a safe bet that he will be amongst the goals again this summer. Fresh from crossing paths during the qualifiers, Group C will witness Poland and neighbours Germany recommence their rivalry. Blessed with a wonderful counter attacking side, the ‘White Eagles’ netted an impressive 33 goals during the qualifying campaign – more than any other side. In Robert Lewandowski, they possess possibly the best centre forward in the game at present. He equalled the record of 13 goals in the qualifying process set during the 2008 campaign by Northern Ireland’s David Healy; ably assisted by strike partner Arkadiusz Milik who contributed 6 goals and 6 assists. Finishing just a solitary point behind favourites Germany, who they beat 2-0 in Warsaw, the Poles could go far in this tournament, they will certainly be optimistic of improving on previous tournament showings – they have finished at the foot of the table on both prior occasions. ‘Les Rendez Vous’ will be the first time that the Ukrainians have qualified for the tournament – the previous appearance at Euro 2012 was an automatic entry as co-hosts. Nonetheless, the country has a proud history in European football, 12 players from what is now the Ukraine were selected for the USSR squad that finished runners-up to the Netherlands in 1988 and the region provided a core of the Soviet Union team that won the inaugural contest in 1960. To arrive here, they did so the hard way, via an evenly contested play-off with Slovenia - their first success at that stage in five attempts. During the group phase, they suffered two narrow defeats to Spain and can consider themselves extremely unlucky that they came away from the game in Kiev empty handed. The team boasts the devastating threat of two inverted wingers in Yevhen Konoplyanka and Andriy Yarmolenko – the former is the only regular starter who plays his club football outside of the country – with Sevilla in Spain. Legendary striker Andriy Shevchenko has retired and the nation would dearly love to see a repeat of the feared partnership that he and Sergei Rebrov struck up for both Dynamo Kiev and the national team – collectively, they amassed a staggering 287 goals between 1994 – 1999 for the club. A quarter finals defeat at the 2006 World Cup represents the best finish for the nation at a finals tournament and although it is unlikely that they will match that here, they may fancy their chances of making their way out of the group. The most remarkable story of the qualifying round is that of Northern Ireland’s maiden showing at the tournament; they are the lowest seeded team to ever qualify as group winners. After a thirty year wait to sit at the top table of international football, the Irish join England, Wales and the Republic to form a strong delegation from the British Isles. Michael O'Neill's team are well drilled and will be difficult opponents, but a lack of goal scoring threat and all-round class will see their fairy tale adventure come to an end at the first hurdle. Placed in a difficult section, avoiding the wooden spoon would be considered a decent outcome, this shouldn’t take the shine off what has been a memorable qualifying campaign and they should revel in their richly deserved place at Europe’s premier championships. They have been assigned a tough qualifying group for the next World Cup, with Germany and the Czech Republic barring their way to Russia, it may be a while before they rejoin the international elite at a major tournament. Manager - Vicente del Bosque. The halcyon days of 2008 – 2012, when a peerless midfield of Xavi, Andres Iniesta, Xabi Alonso and Sergio Busquets laid the foundation for a dominant La Roja to sweep all before them, may be behind them but the current crop of engine room talent consisting of Cesc Fabregas, Thiago Alcantara, Koke, David Silva and Santi Cazorla is hardly second rate. With Iniesta and Busquets still part of the squad, alongside the possibility of a recall for a rejuvenated Fernando Torres, the Spanish continue to be blessed with a playing group jam-packed with top class performers. The aura of invincibility has gone but with nine wins from ten during qualification, they can rightly be considered among the favourites to take home the trophy for a record breaking third time in a row. Still smarting from a disastrous showing at the 2014 World cup in which Vicente del Bosque’s side failed to make it out of the group stage – including a humiliating 5-1 defeat at the hands of the Netherlands – they will be desperate to repair their damaged reputations this summer in France. There will be a huge selection dilemma for del Bosque regarding the number one position – the imperious form of David De Gea cannot continue to be overlooked and his selection over veteran stopper Iker Cassilas is one of the big issues to be resolved before the tournament kicks off. With eight clean sheets during the qualifiers, the Real Madrid/ Barcelona axis of Sergio Ramos and Gerard Pique has proved to be a rigid defensive pairing. However, it is upfront where the defending champions have their main concerns; Diego Costa has suffered a dip in form this season at Chelsea, leaving Paco Alcacer to shoulder the burden up top. The Valencia man was the top scorer during qualifying with just five – a potential headache that may scupper the Spanish chances of an unprecedented hat-trick of titles. With Luka Modric and Ivan Rakitic claiming regular roles for Spain’s big two plus the experience of seasoned campaigners Darijo Srna, Nikola Kalinic and Mario Mandzukic - Croatia have a healthy dose of quality running through the spine of the team. In addition to Modric and Rakitic, Mario Kovacic completes one of the most talented midfield trios at the competition. The draw with Azerbaijan in qualifying prompted the sacking of manager Nico Kovac - his replacement Ante Cacic inspired the team to three consecutive wins which sealed their runners up spot behind Italy. Having had a limited time to adjust to a new coach may mean the bedding in process is still ongoing, but the immediate response from the players during qualification is a positive sign that the squad is gelling under the new regime. A vulnerability to pace at the back may be the Achilles heel of the side but if that can be remedied, the Croatians could be a serious threat. Manager Fatih Terim is currently in his third term as Head Coach of the national team and he has done a commendable job in navigating the side through a tough group and qualifying as the competition’s best third placed team. The restrictions to foreign recruitment in Turkey’s Super Lig was a calculated move designed to enhance the chances of success for the national team. It is a paradoxical situation then that the national team benefit from the experience of two of the leading lights of the team – Arda Turan and Hakan Calhanoglu – who make their living in Spain and Germany respectively. Having won their last three games of the qualifying phase, Turkey are in superb form – eleven games without defeat lays the groundwork perfectly for a profitable tournament. It wouldn’t be too surprising if they managed to advance from an evenly matched group. 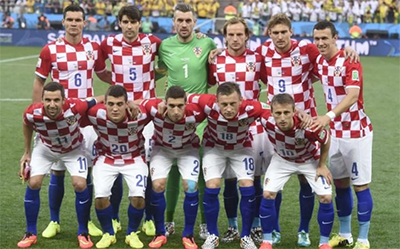 Well organised and attack minded – the Czech team will be an attractive addition to this event. Having topped a group which included Turkey and the Netherlands, the Czech’s arrive at the tournament with impressive credentials. A workmanlike team who like to counter attack at pace, they are another team for who a lack of goals may be an issue - a scarcity of goals may be a recurring theme in Group D.
A lack of a prolific marksman –Daniel Lafata started in seven of the ten qualifiers yet netted just a solitary strike – the goal threat may come from talented attacking midfielders Borek Dockal and Ladislav Krejci. With the ongoing absence of Thomas Rosicky, Captain Petr Cech is the remaining big name from Europe’s elite leagues. The achievement of Euro ’96 - in which the Czechs were defeated in the final by Germany - may be difficult to revisit but this tournament has a reputation for unfancied teams engineering extraordinary results. Vrba’s side may be a decent bet to claim one of the best third place qualification places. 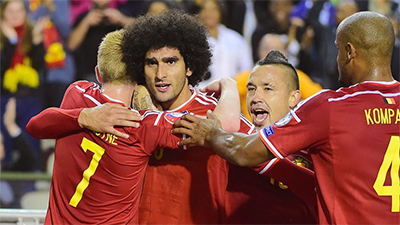 For many people, the abundance of talent in the Belgian squad made the Red Devils an attractive proposition to win the World Cup in 2014. Two years on, the playing group is possibly better prepared to make their mark on the big stage. The experience of the World Cup – in which they were eliminated at the Quarter Final stage by eventual finalists Argentina – will see them in good stead and collectively the squad will be more seasoned in the tournament environment. Armed with a legion of Premier League stars, Red Devils coach Marc Wilmots will be selecting from a gifted set of players and the minimum expectation will be to progress to the latter stages of the competition. Two of the principal members of the team – Kevin DeBruyne and Eden Hazard – finished top scorers during the group phase with five strikes apiece. They have encountered contrasting fortunes at club level this year, De Bruyne has made an impressive start to his Manchester City career, highlighted in the team’s upswing in form following his return from injury. Contrarily, Hazard has seen his reputation plummet after a woeful campaign in a shocking Chelsea side - just twelve months after winning the PFA Player of the Year award, the former Lille man has just three goals to his name in what has been a deeply disappointing year. The recent announcement by Manchester City skipper Vincent Kompany that he will miss the finals due to an injury sustained during the Champions league defeat in Madrid will no doubt have created an element of disquiet among the coaching staff, who will need to come up with a contingency plan to compensate for the absence of the defensive lynchpin. Up front, Wilmots can call upon the services of Romelu Lukaku, another who is earning a living in the English top division – the powerful forward has been outstanding for a mediocre Everton side and has notched twenty five goals for the Merseyside team. There may be an issue in how to blend all of the individual talent into a cohesive unit however. With four natural centre backs currently deployed in a back four, Wilmots has been performing a juggling act with personnel. Jan Vertonghan and Toby Alderweireld have been utilised as full backs, not positions that they frequent at club level - it will be interesting to see how Wilmots handles the logistics of his team layout. 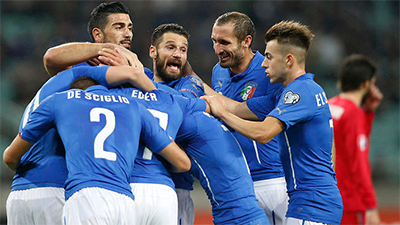 Finishing top of the qualifying group unbeaten is not enough for some people – many of whom have been quick to write off the Azzurri’s chances this summer. This tournament will be coach Antonio Conte’s swansong – the former Juventus man is taking over the reins at Stamford Bridge upon the conclusion of the Euros and he will be hoping to go out with a bang. Finding themselves in the unfamiliar surroundings of Pot 2 due to the apportioning of a lower coefficient points total which determines the rankings for the tournament, the Italians were the side that the teams in the corresponding sections wanted to avoid when the draw was made back in December. The magnificent Juventus team who clinched a fifth straight Scudetto this month will no doubt provide the backbone of Conte’s first XI. The ever reliable Gianluigi Buffon, who with 156 caps is the most capped player in the history of the Italian game will be starting behind fellow Juve teammates Leonardo Bonnuci, Andrea Barzagli, Claudio Marchisio and the Georgio Chiellini - who may return from injury in time for the event. The benefit of having a nucleus of players with an in-depth understanding of each other’s game borne out of consistent club appearances together can pay dividends for a national team when it comes to big competitions; one notable example from tournament history is the legendary AC Milan trio of Marco Van Basten, Ruud Gullit and Frank Rijkaard who were so instrumental for the Netherlands in their Euro ‘88 triumph. It is an advantage that the Azzurri hold over many of tournament rivals. The presence of midfield maestro Andrea Pirlo is subject of much debate in Italy and since his move to New York City to play in the MLS last July, the ex-Juventus Inter and AC Milan playmaker has been omitted from the national team squads. Although Conte is unconvinced by the lower standards of the football in the States compared to the continent, it would surely be an error of judgement to dispense with the services of the veteran world cup winning captain - particularly given the plague of injuries currently afflicting the squad. The confirmation that PSG midfielder Marco Verratti will miss out after undergoing surgery on a serious groin complaint is the latest hammer blow to an injury ravaged group. With such a turbulent run up to the event - including a 4-1 trouncing at the hands of World Champions Germany – there will be minimal expectation of the Italians, an unusual state of affairs that Conte could use to his advantage. Notorious slow starters, it is likely that if they manage to progress through the group phase, knockout football could provide the opportunity to generate some momentum and the Euro 2012 finalists who boast such an illustrious finals history, could prove the naysayers wrong. 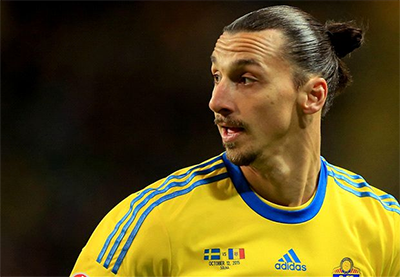 For Sweden it is all about one man – Zlatan Ibrahimovic. The player so sure of his greatness that he once declared that a ‘world cup without me is nothing to watch.’ At 34 years of age, it is likely to be the last time we see the talismanic forward in a finals tournament and his presence will certainly add a sense of colour and theatre to proceedings. For the Swedes, this will be their fifth straight appearance at the Euros, they have failed to progress past the first hurdle in three of the previous four campaigns. A hard-working, industrious side, it would be difficult to envision the Blagults reaching the knockout rounds again here. A mixed group phase saw them lose heavily to Austria but prevailed via an extremely satisfying play-off tie against neighbours Denmark. Ireland find themselves embroiled in a second successive ‘group of death’, following on from an arduous qualifying section in which the ‘boys in green’ were pitted against Germany, Poland and Scotland. With a sprinkling of diligent Premiership performers including Norwich City pair Wes Hoolahan and Robbie Brady, there is a minority within the playing pool who possess top-end experience. Defensive strength may be the team’s best asset – during the demanding qualifiers, O’Neil’s side conceded just seven goals, no mean feat considering Germany and Poland scored fifty seven between them. The management double act of Martin O’Neill and assistant Roy Keane, the self-described ‘good cop, bad cop’ set-up seems to be working wonders for a nation that will be appearing at their third European Championship this June. 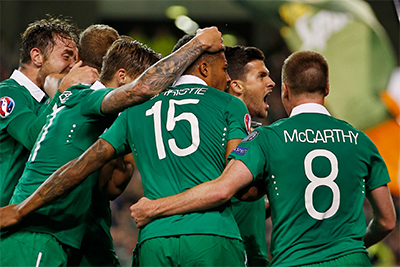 The victory over World Cup winners Germany is a sign of this side’s capabilities and it would be churlish to dismiss the chances of a group with such an resolute team spirit - opponents will underestimate the Irish at their peril. Euro 2016 Group D Table Prediction 1. Belgium. 2. Italy. 3. Sweden. 4. Republic of Ireland. Do you want to place a bet on Euro 2016?